You’ve probably heard this a million times- that you must practice well in advance with your bow. Some bowhunters would just head to the backyard shoot at a target for a few minutes or hours and believe they’re good to go. But I doubt if that alone will add value to your real-life deer hunting situation.So, how should you practice? Get yourself into a lifelike hunting situation (for instance, setting your 3D targets in the woods and take shots at them). This not only helps you prepare adequately during the offseason but also improves your yardage guesstimating and delivering shots that count. I’ve also learned that when using 3D targets, they’ll teach you how incline or decline shots can easily send your arrows off the market if you’re not shooting correctly. Another tip you can use to make your practice realistic involves practicing in the adverse weather (windy) conditions as these are the same conditions you’ll be dealing with during the actual hunt. Be sure to make your shots at different distances. This is a surefire way to help you discover your maximum accurate range- and it will reward you greatly when the next season kicks in. If you had your share of disappointments during the last whitetail hunting season, the problem could be how you ﻿﻿﻿conducted﻿﻿﻿ your scouting. A good number of bowhunters will wait until a week before the start of the season to do the scouting. This dangerous ruins your chances of hunting the deer (even when you spot them). Because when you and other hunters do the last minute scouting, you’ll pout the game on a high alert. I kickstart my scouting in August by the glassing fields, as I set up some trail cams around my favorite hunting spot. And after I’ve located the whitetails, I go ahead and put up my stand, clear lanes, and eventually shift the trail cams to the treestand sight. And a few weeks to the season, I retrieve the cards from my cameras. The pictures give me clues on where to hunt the deer. Trust me: if you utilize my formula above, the next season will be the luckiest season of your hunting life! The technology has also made it possible to get a hawk eye view of your hunting spot(s). Talking of Google Earth, it gives you a detailed imagery of your hunting locations, making it incredibly easy to pick the strategic spots for placing your stand. Heck, you can even zoom in that imagery and get to see the deer trails right from your computer chair! Isn’t that a smart way to do your scouting? 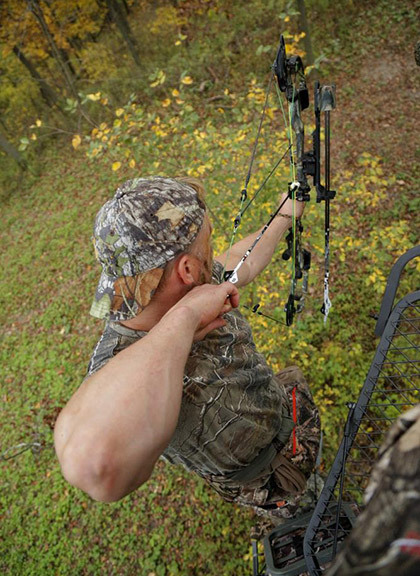 It’s not a mistake that a high percentage of bowhunters own several climbing treestands. 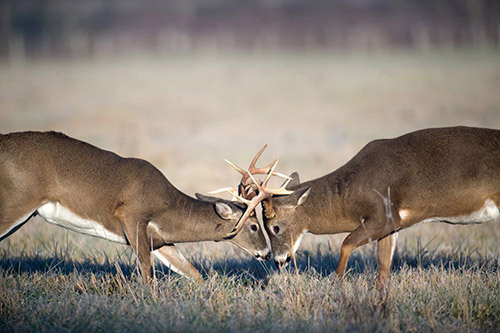 Over 10 million whitetail hunters have attribute successful ambushing of the deer- as they feed, travel or interact, etc. - to their treestands. Even when you want to look for new hunting grounds, the climber becomes you best friend. 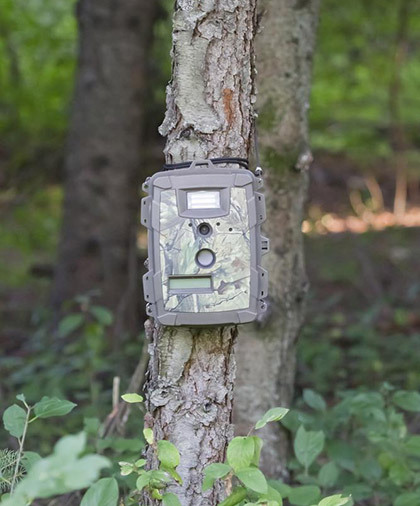 You’d want to move around the nearby lands or property, and nothing allows you to do it easily, while staying safe and elevated, like a treestand. Bottom line: Make it a habit of carrying a high-quality tree-stand if you want to become a successful bowhunter of the whitetails. As a general carefully studies his enemy before launching an attack, so should you study the whitetails before hunting them. Don’t wait in your stand clueless. Take time to know when the deer avail themselves. According to experts, the game (the big bucks) are usually active at night. They usually wake up around midday to feed, browse, and so on. And because they’re intelligent creatures too, they’ve learned that hunters come to look for them in the morning and afternoon hours. With this information in mind, you’ll agree with me that the best time to hunt them is during the midday hours. Personally, staying in my stand in the midday hours (between 10 and noon) have always given me great results. Likewise, I’ve met expert bowhunters who will only hunt between 9.30 and 2.00 during the rut period. 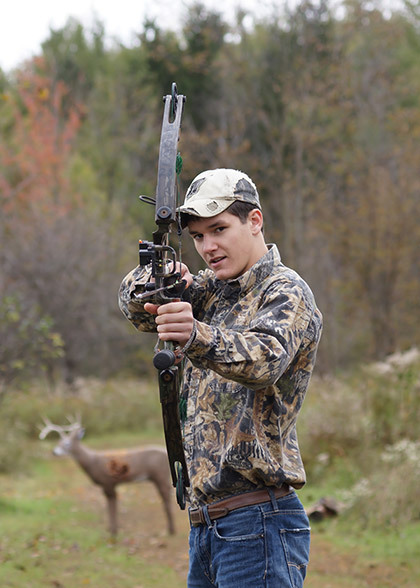 As with any other task, hunting whitetails with a bow requires you to put in sufficient effort. This is a secret well known to the accomplished bowhunters who are always lucky to fill their freezers with deer every new season. 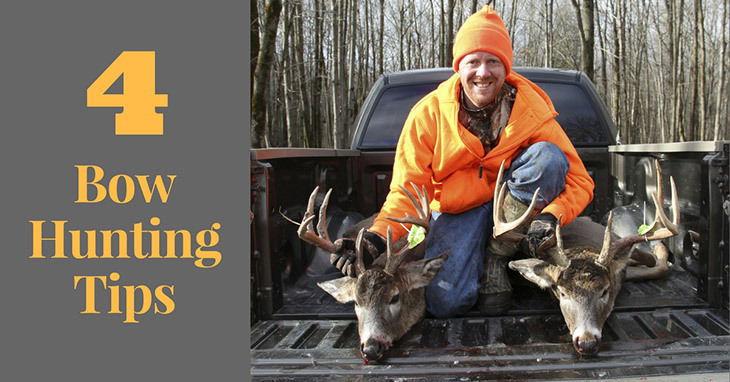 You can also increase your luck in the next hunting season by incorporating the four tips I’ve just shared above with you. I’ve personally employed all of them in the fields and will continue doing it because they’re sure to give you real results.